I’ve always wanted to learn metal work, like tin and copper punching and texture. I would love to learn scrapbook details. OR tole painting. These are my main two. OMG I would really really love to learn smocking!! It looks sooo pretty!! I’d love to learn how to knit. I’m all thumbs when it comes to knitting. I’ve always wanted to learn how to knit. I would love to learn how to do Stain Glass. 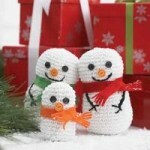 I would like to learn knitting and crocheting. 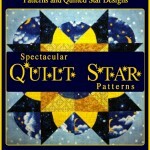 I would love to learn more about quilting. I made an Awareness Ribbon Quilt, however it doesn’t look real good. I have great ideals with quilting, but that’s as far as it goes. I need quilting lessons. I would love, love to learn to sew with a sewing machine. Problem is I don’t have one. One day maybe! Never too old to learn right? I have wanted to learn to tat. it is a lost art and so beautiful. I’d love to learn how to quilt, that is, once I learn how to sew better! Wish I could find the time! I have always wanted to learn to make Jewelry. 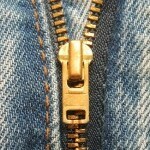 I also have wanted to learn to sew. I bought an antique rug loom several years ago, because I thought it was a neat thing! I’ve seen people weaving, but I could use some lessons or advice. I also am trying to quilt. Screen Printing has always intrigued me! I would love to learn stain glass. I would love to learn weaving. I would love to learn to quilt-I sew, knit and crochet. Quilting is on my “to learn ” list. I would love to learn pottery and stained glass. 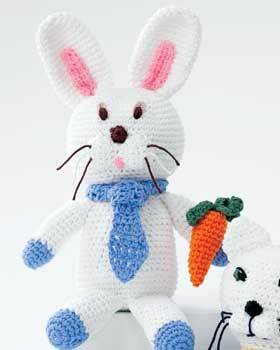 Have wanted to learn how to crochet. 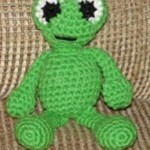 My great Aunt crocheted everything I wanted when I was a teenager. Didn’t think to have her teach me. Now I’d like to know. Can do a chain. Have knitted for years and sewn more than that!!! I can sew, knit, crochet, quilt and make jewellry, and have taught myself how to do all of them. The one thing I have always wanted to do and have never seem to had to the time is scrapbooking! There is so much information out there its overwhelming and I don’t even know where to start learning! I have always wanted to learn tatting. I have seen some beautiful pieces. I can crochet and have made several pieces but tatting would make such a finer piece. 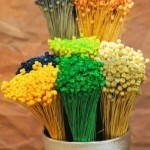 Would love to learn how to use Shiva paint sticks on fabric. 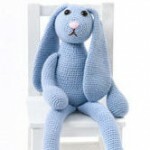 I always wanted to learn fiber crafts such as knitting, crocheting, spinning and such. I love that we can create a lot of what we use from the animals. And there is so much to learn in fiber crafting. I wanted to learn tatting as my grandma used to do it. I’d like to learn how to do more involved crochet work. I’d also like to get better at quilting. There is tons that I want to at the very least try!! Anything useful or that I can give away. 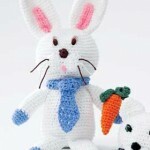 But mostly I want to crochet, you can make such long lasting stuff!! The cute pink bear caught my attention as I scrolled through facebook today. Which leads me to your blog. 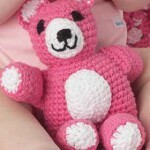 I want to make this cutie Teddy bear to snuggle with for me and my granddaughter! Maybe an Easter present. I want to learn to tat. I bought a shuttle and thread and cannot figure it out. I recently read that you really need someone to show you how. I would love to learn how to knit a jumper on a knitting loom. Tatting with a needle or shuttle. I knit, crochet, sew, and quilt. My next crafts I would like to attempt would be pottery, painting, and maybe some jewelry. I guess i need to get busy!! i crochet, sew, bead, quilt, very basic knitting, paint (decorative), some ceramics,and embroider but want to learn how to work a long-arm quilting machine! I have 2………….I always wanted to know how to tat and how to quilt. I taught myself at a young age the art of knitting, crocheting and embroidery from a “Know How” book but could never master the tatting instructions. Quilting is coming back strong (at least machine quilting) but tatting seems to be a lost art. I wish a genie could snap their fingers and viola, I could tat and I could hand quilt. I would like to learn jewelry making and painting.